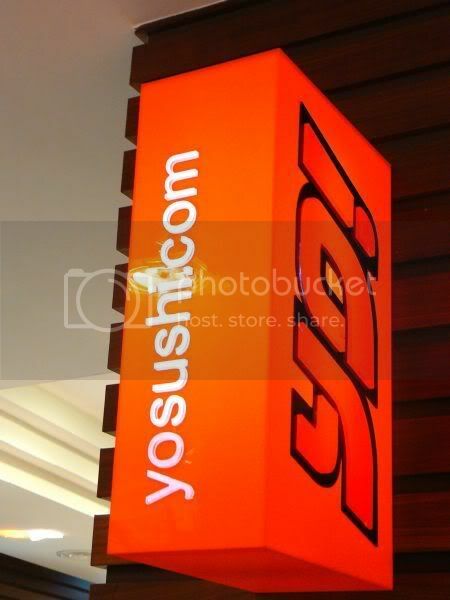 Recently, there has been an increase in new places to dine that I am slowly trying each outlet one by one. One such place in Petaling Jaya is Jaya 33 which combines an office tower and dining at the lower levels. What's good about dining here is parking is a breeze compared to the nearby Jaya Shopping Centre area which is forever packed. 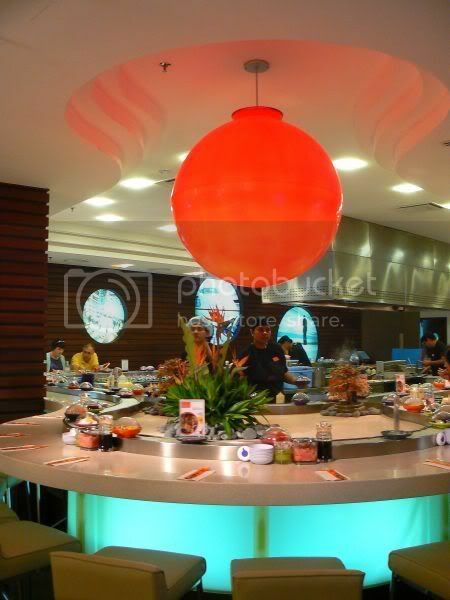 To date we have only tried Oriental Pavilion which is part of the Noble House group, Cozy Corner (a branch from Ampang Park) and this place, Nagomi which serves shabu shabu and Japanese sushi and sashimi items. The owners also own another Japanese restaurant at Tropicana Golf and Country Club. When dining here one should bear in mind this is Japanese shabu shabu and not the local version of what is called shabu shabu. Some restaurants are calling their places shabu shabu when all they do is serve normal steamboat with sliced meats, fishballs and etc. At this place, you won't get any fishballs as they only serve sliced beef, sliced chicken, salmon, duck, mixed seafood and vegetables with their shabu shabu. If you love beef, they serve a variety of wagyu and kobe too. A portion of beef shabu shabu is RM33++ which includes the dashi broth made from bonito flakes and konbu seaweed, a bowl of rice and assorted vegetables. 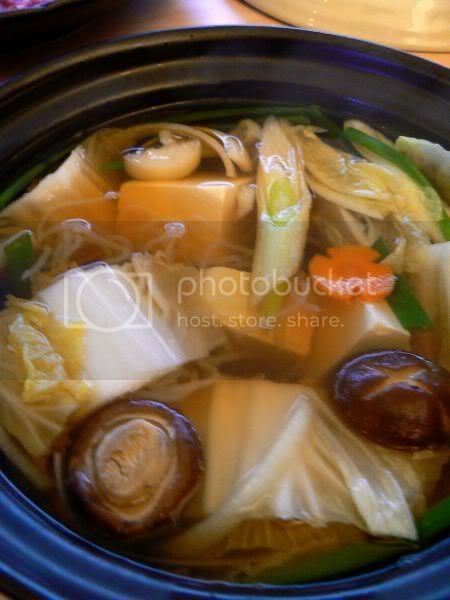 Shirataki noodles are also served with the vegetables which you can cook yourself. Everyone gets a hob on their own which you can cook the items. What I liked about this place was how fast their electric hob heated up plus it was sufficiently air-conditioned hence you won't sweat from cooking over the hot stove. 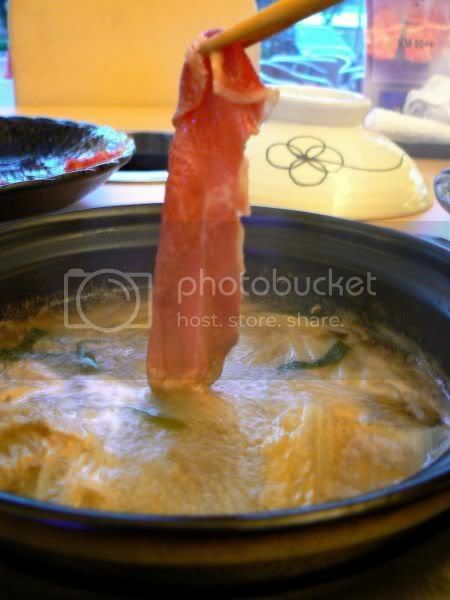 Literally meaning "swish-swish", we had lots of fun swishing the thinly cut beef slices in the hot broth. Just a quick swish and it'll be cooked. Then dip the cooked beef slices in one of the three sauces given: sesame, ponzu and the localised chopped red chilies, garlic and ginger. 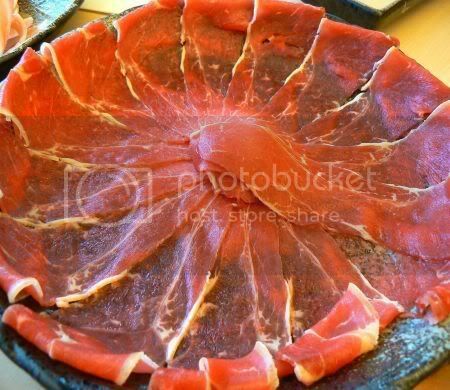 I really liked the beef slices which were tender. Since we only ordered one portion to share, we added chicken shabu shabu (RM6++) to share. We got a generous portion of sliced chicken but the only inconvience is we only had one pot of broth hence I was cooking most of the time. If you order the chicken shabu shabu, it is served with minced chicken meat which they mix with raw egg to create tiny meatballs. 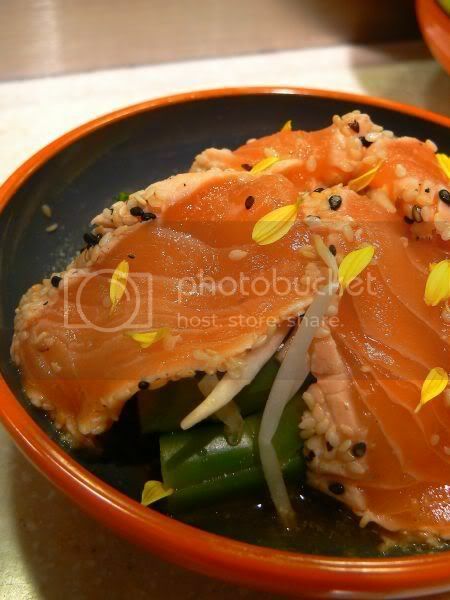 Most of the shabu shabu items are served with hot dashi broth but the sliced salmon is served with a slightly hot kimchi broth. 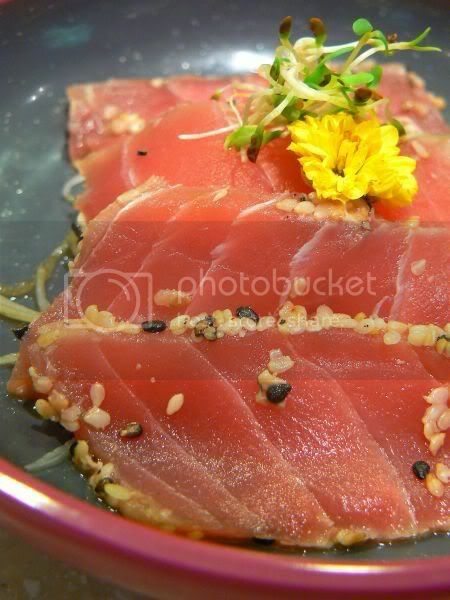 Aside from shabu shabu items, they also have a selection of sushi and sashimi. 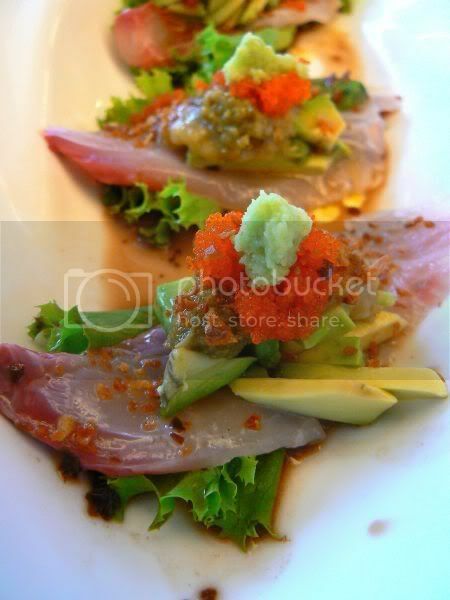 We both really liked the Kanpachi Garlic Sauce - sliced amberjack fish with avocado, ebiko and garlic sauce. Very fresh and unusual. 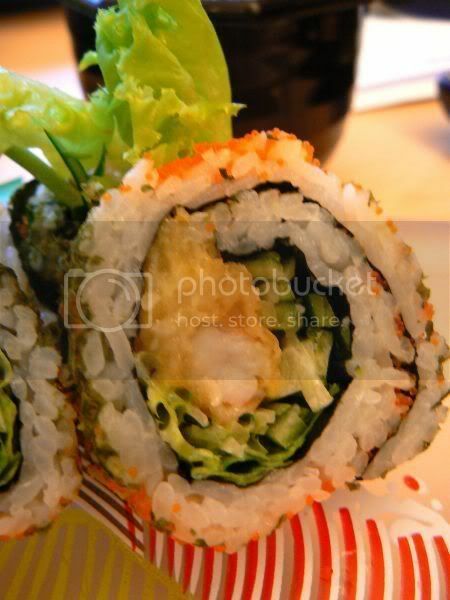 We also ordered an ebi tempura roll which had tempura king prawn. 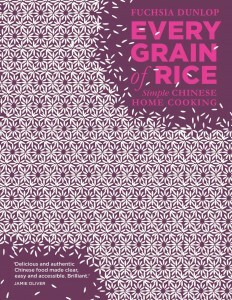 This was quite a dissapointment as the rice was too soft. Overall, we quite liked the food here especially the tender beef slices. Wouldn't mind returning to try other varieties. However bear in mind, prices here are definitely not as cheap as your steamboat places which serve sets or eat all you can promotions. We also liked the attentive service here and the spacious layout. A short blog entry today. I finally managed to taste the infamous pork noodles in Subang Jaya. Originally located at the hotel which faces the main road near Carrefour, this place has now shifted to a no signboard restaurant along Jalan SS15/4B. I had braced myself for a long wait as I heard rumours about the long queues but the food arrived pretty fast. The soup was good, not overly sweet with an evidence of added sugar but sweet from the boiling of pork bones and the meat. 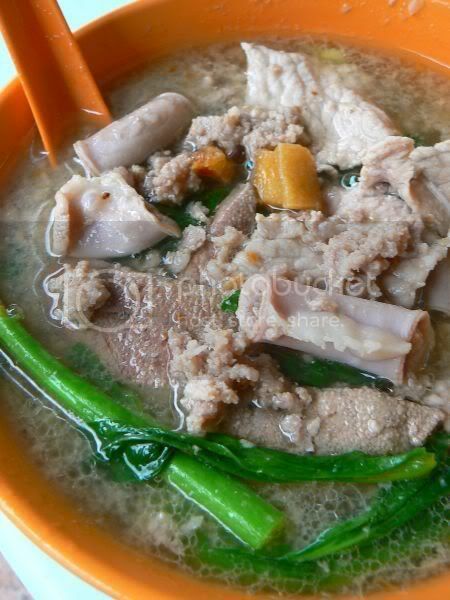 A big bowl like this costs a whopping RM5.20 but is full of ingredients - minced meat, pig's intestines, pig's liver, vegetables and a sprinkle of deep fried pork lard. Despite eating Indonesian food all the time, I just don't get sick of it since it is a favourite of mine. Hence when a friend, S mentioned this place at the Curve, I knew it was my first stop during the weekend. Newly opened in November, this place is near to the upstairs bridge which connects Ikano Power Centre to The Curve. Although the food is Indonesian in nature, the restaurant is actually a branch of their flagship Singapore restaurant at Lucky Plaza. Food was so good the day we did a quick snack test hence we went back again the next day and had a full meal. Not my first time eating Ayam Penyet but this is definitely the best so far. 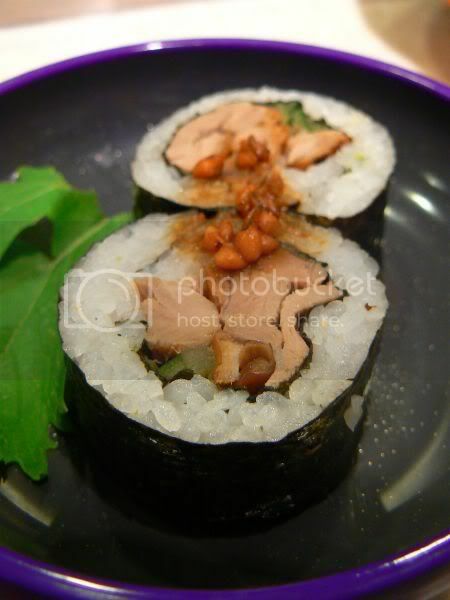 It stands ahead the rest in town with the juicy chicken meat hidden behind the crispy layer. With an aroma of spices and a yellowish tinge from the use of turmeric, the chicken was definitely "finger licking good." The secret to their tender meat is they boil it first with the spices then it is taken out. 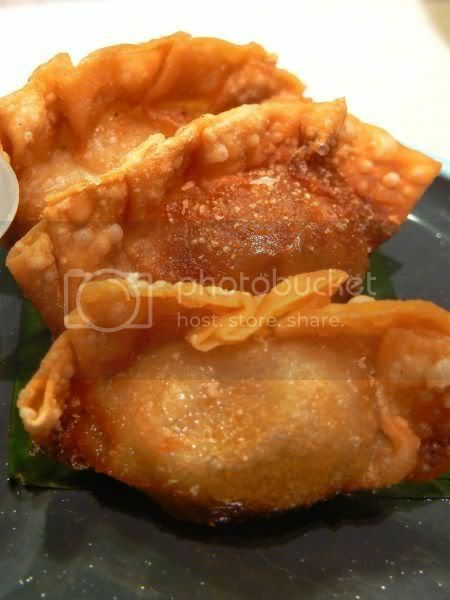 Subsequently it is dipped in flour mixed with spices and deep fried till crisp. Aside from chicken, they serve Bakso, Empal (fried beef), Bawal Fish, Catfish (Pecel Lele), Chicken Wings, Tofu and Tempe Penyet. For those of you unfamiliar with the term Penyet, this means "smashed" as the items are smashed with a hammer till the meat is loosened from the bones making it is easier to eat and usually accompanied with deep fried batter bits. A bit of a misnomer as the Bakso wasn't smashed and still remained whole. 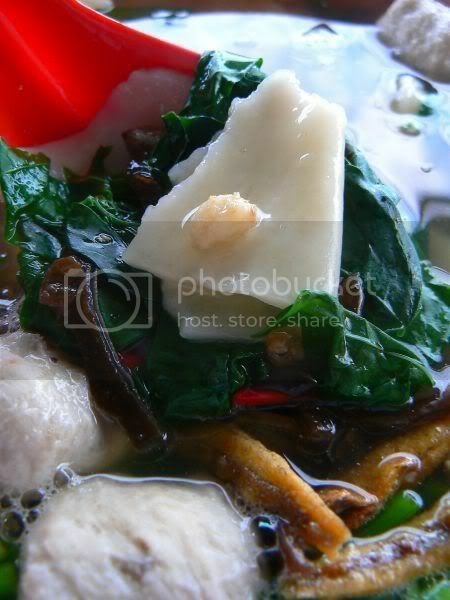 This dish is said to originate from Surabaya and was popularised in Batam Island. For the Bakso and Empal we tried, it was pretty good but not as fantastic as the chicken. 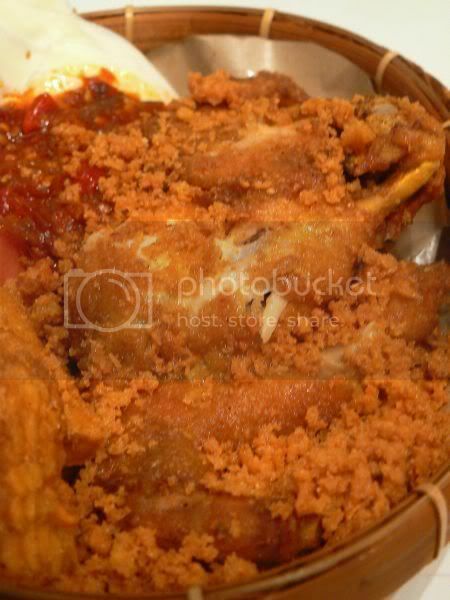 Personally I prefer the Empal at Ayam Bakar Wong Solo as it is tastier. 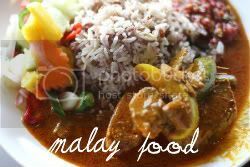 Each serving has a large dollop of their famous fiery sambal. According to their wait staff, the sambal uses belacan imported in from Indonesia hence it is so tasty. 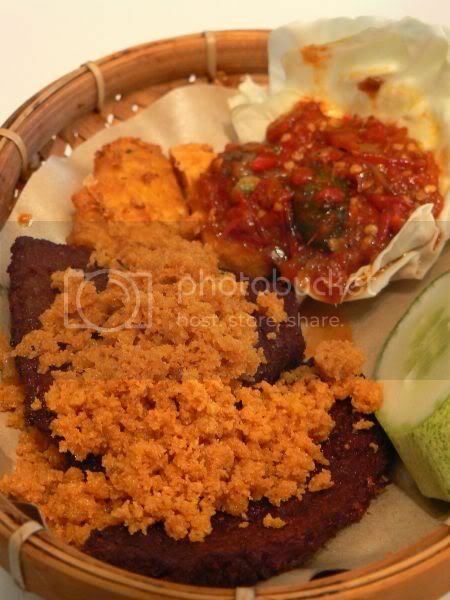 Also in the basket which they serve the food in is a small portion of fried tempe and fried tofu. My only complaint is no addictive kicap manis sauce like Ayam Bakar Wong Solo but they do serve plain kicap manis or kicap manis mixed with chopped red chilies. 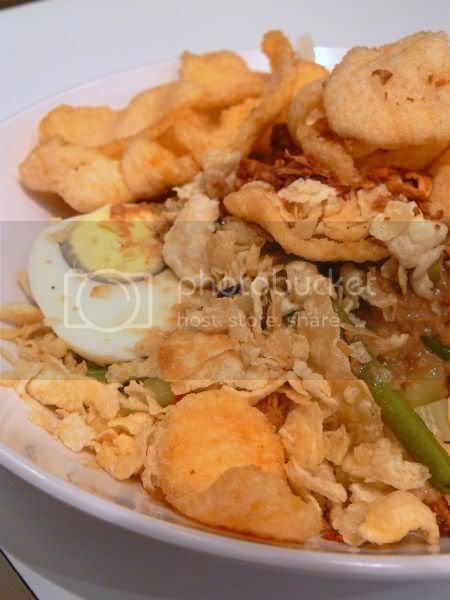 The menu is pretty extensive with Gado Gado, which was served with Melinjao crackers. My only complaint was too little peanut sauce served with the mix of vegetables and crackers. 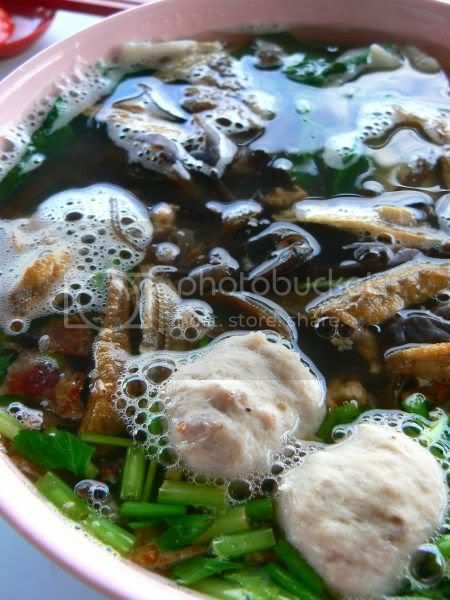 Sayur Asam, Soto and grilled items like chicken and satay are also available here. 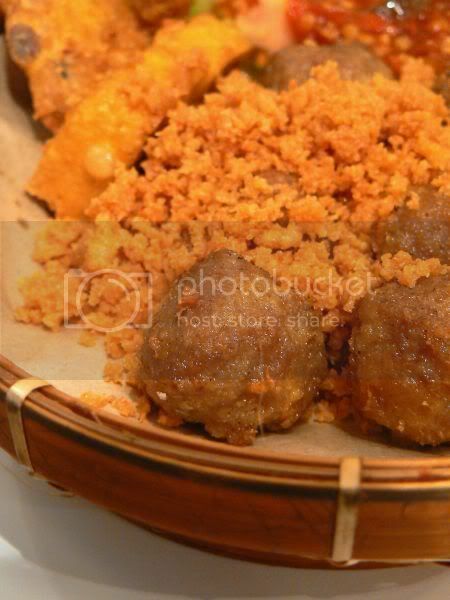 They also serve this unusual dishes called Batagor, a fried mixed dumpling made from fish paste and Siomay Bandung which is Bandung mixed dumpling. Do give it a try when you're around the area and if you love fried chicken and spicy sambal, this is definitely a place to be. By now, most of you should know how I abhor dining at Suria KLCC since I have tried almost every place. Last weekend, I was so happy to discover a new place which took over the Secret Recipe spot. Although given a different moniker, it was still recognisable as part of Marmalade as they added a teeny weeny indication of the link on the signboard. Since we had eaten lunch, it was just a few quick sweet treats for the day. I have zero resistance when it comes to cupcakes hence we went for their Tiramisu Cupcake (RM5+) and Carrot Cupcake (RM5+). They also had Vanilla Strawberry, Oreo and Lemon Coconut flavours that day. I loved the decor of the cafe starting from their quirky signboard, the white plastic chairs with a lace motif and the flower shaped wooden tables. 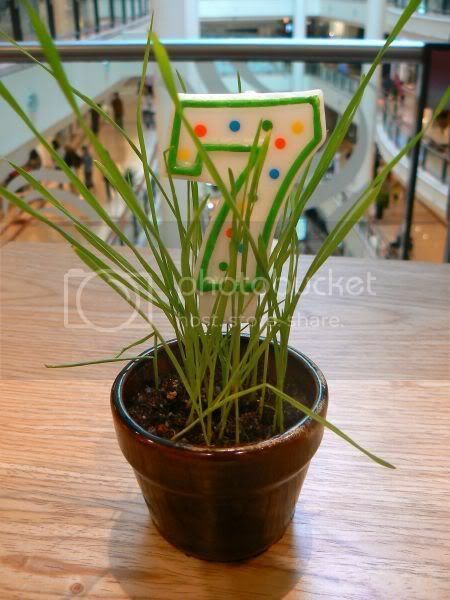 Little touches like the potted plant and the birthday candle to signify the number of your order was also very sweet and unusual. 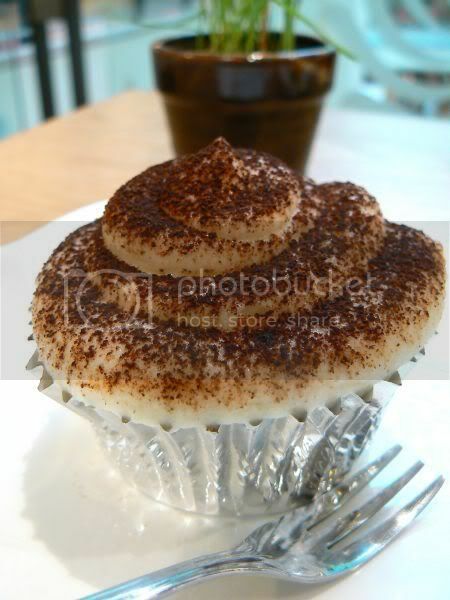 Back to the cupcakes and the verdict is - Tiramisu is the winner. Consisting of a light sponge base, it was slightly soaked with a light tasting coffee based syrup. 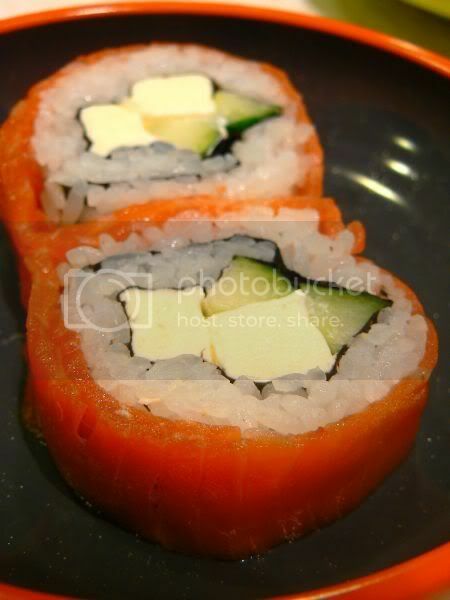 Topped with creamy mascarpone cheese, it was yummy and so light. 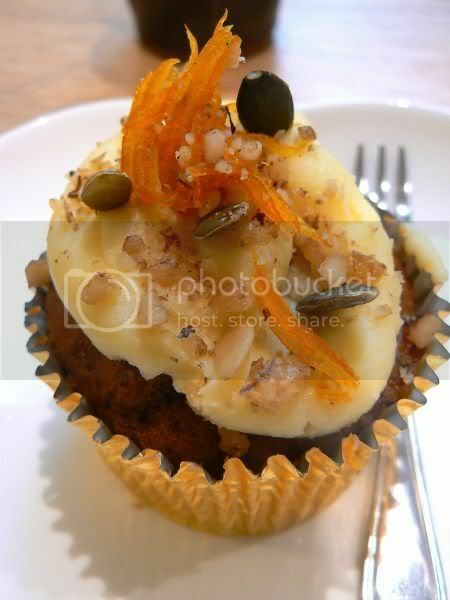 The carrot version is based on their famous carrot cake. However, this cupcake felt short as it didn't taste quite fresh as it was slighly hard. A peek at their menu indicates slightly different items from Marmalade. There's breakfast items known as day starters available from 10 to 11.30 am like pancakes, banana bread and a breakfast burger with a choice of turkey ham or smoked salmon for about RM14 to RM18. Marmalade is famed for their salads and there are a few funky ones here ranging from RM16 to RM18 - greek, caesar and corn stack. They have also introduced new items like the pide pizza with various toppings for eat lovers or tropical (the chicken and pineapple). Pides are Turkish flat breads which are now used as sandwiches. Alternatively choose from their sandwiches (which has a selection of different breads) which have choices like BLT (the classic combo of bacon lettuce and tomato), egg, avocado and mediterranean salmon. Pies are also available - Aussie Beef Pie, Chicken, Turkey Ham and Corn Pie and for the vegetarians, Spinach and Feta Pie. Served with mash potato, peas or salad, these pies are priced around RM18. 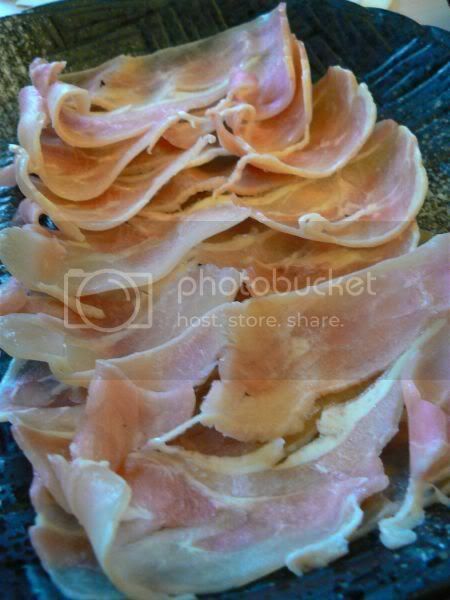 If you prefer something richer, they also have quiche - smoked salmon, turkey ham or spinach. Last but not least, pastas are also available at RM19 - spaghetti carbonara, spaghetti Alio Chili Garlic Prawns and lasagnas. Those with a sweet tooth will enjoy cupcakes and I think I spied scones also at the counter. I'm pretty happy with the discovery of this place, makes me look forward to a trip to Suria KLCC for now as it means I get to try out something new. 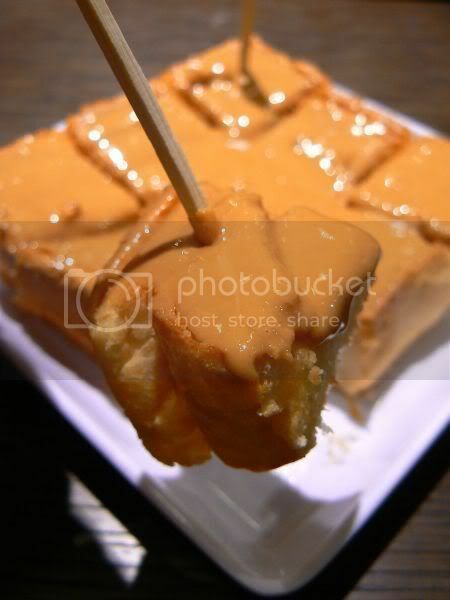 as Michelin has revealed their new guide on Tokyo plus proclaimed it as the "most delicious city in the world." One must aspire to dine at one of the eight restaurants which were awarded the coveted 3 Michelin stars. I'm especially attracted to the fugu specialists since that is in season now. We do get fugu is Malaysia but I suspect it has been "de-poisoned" before it is sent over here since no one proclaims they are an expert in preparing the items. To read about the eight places and more on the recent guide, click on this LINK at the Times. I hate to dissapoint all of you regular readers BUT this week marks the start of certain changes to the blogging schedule. Due to certain commitments, I won't be blogging as regularly i.e. not on a daily basis. However even though it is not on a daily basis don't worry as you will still get to see me blogging each week. Am not too sure what kind of schedule I am comfortable with but I'll try and adjust accordingly. 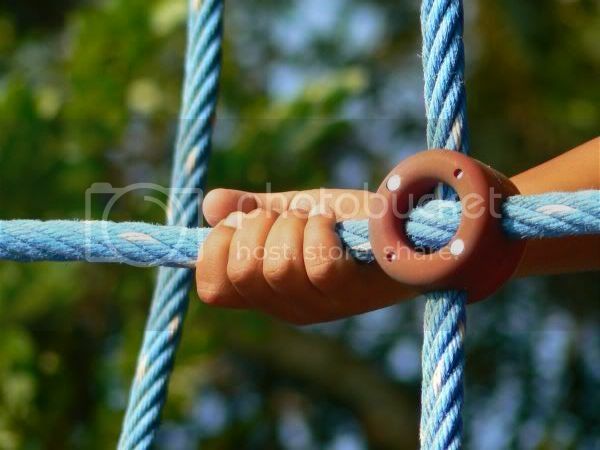 Hence, do hang on tightly still and keep checking the blog for updates...... This week should see today's post on Yo! 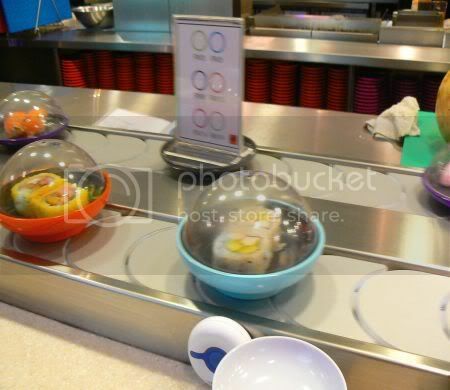 Sushi, the new kaiten place in Pavilion, Kuala Lumpur (next blog post beneath!). 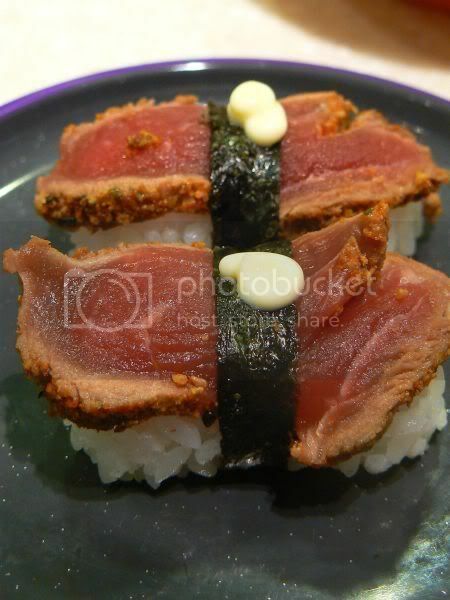 Other things to look out for are new places to try at Suria KLCC (yes! 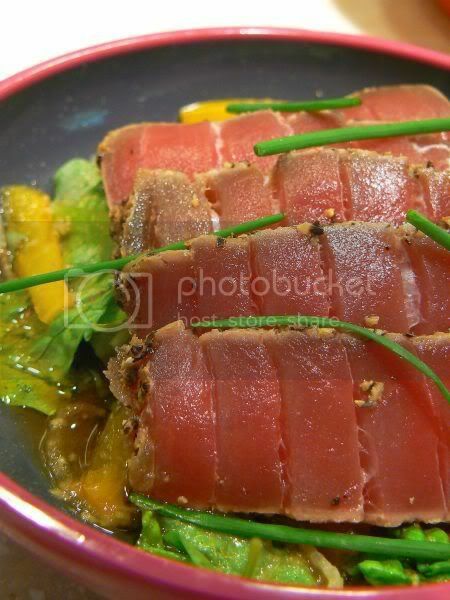 there is something new especially for those of you who are sick of the food selections there) and the Curve. Chill baby chill! Since the kind Astrid from Paulchen's Food Blog is hosting this weekend's WCB, Ally Cat decided to take up her offer on those napping places. Here she is chilling out with lots of sunshine. Excuse the wires as this is next to my pc and the shadows as I quickly snapped this just before I went out today. 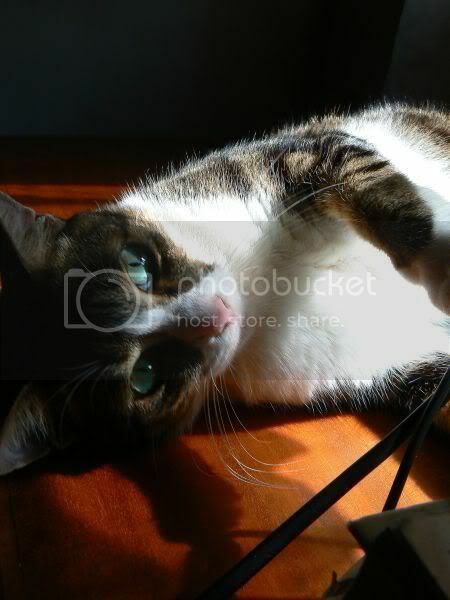 Drop by Paulchen's Food Blog for more kitties - there are loads of them there. 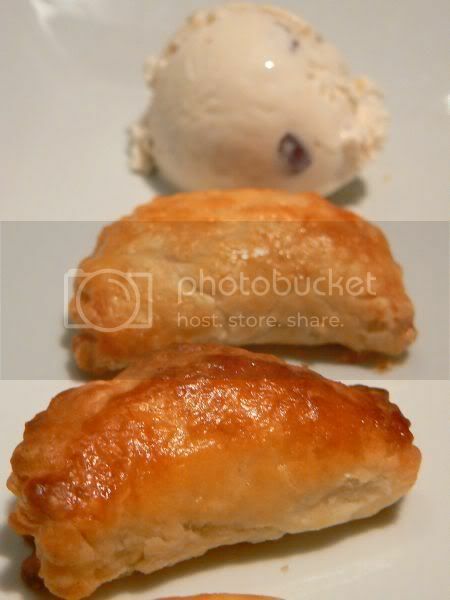 Something short and sweet to end the week with - flaky apple turnovers from my favourite cookbook author, Dorie Greenspan. I actualy made these long ago and ended up with loads of leftovers. Best part is it keeps in the freezer. Whenever you need to get your fix, just plonk them in the oven frozen and they bake to golden brown perfection. Give the recipe a try! Definitely worth it as the pastry is flaky and so delicious. 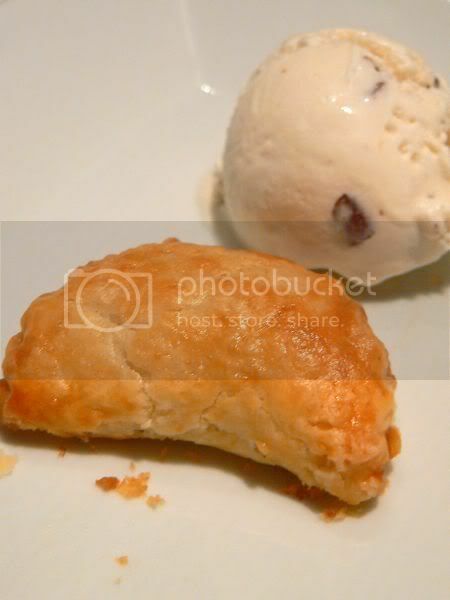 The key is sour cream which is added to the pastry. I find making them bigger mean tastier turnovers even though these are a nice bite size version. In a bowl, combine the sour cream and sugar and set aside. In a large bowl, combine the all-purpose flour and salt. Add the butter pieces and with a pastry cutter or your finger tips, mix in the butter until the mixture resembles coarse oatmeal and has a crumbly texture. Add the sour cream/sugar mixture and gently mix together with a fork or your hands. You want the dough to come together into a ball. If the mixture is still a bit too dry, add a bit of cold water to help bring it together. Be careful not to overmix or overwork the dough. Once you can gather it into a ball, divide the ball in half, flatten each half into a disk and refrigerate (wrapped in plastic) for about an hour. When you're ready to make the turnovers, remove one-half of the dough and roll it into a rectangle shape that is roughly 9 inches by 18 inches. You'll need to flour your work surface well as you roll out the dough. Once you've rolled it to 9 by 19, fold the dough in thirds (like a letter) and refrigerate for 1 to 2 hours. Follow the same procedure for the other half of dough. Combine the flour, sugar, cinnamon and nutmeg in a bowl. Add the apples and mix well to ensure the apples are completely coated. Preheat the oven to 375 degrees F and be sure to have a rack in the top third of the oven and a rack in the lower third of the oven. Line two cookie sheets with parchment paper. Roll out one piece of dough to a thickness of about 1/8 of an inch. With a cutter that is about 4 to 4-1/2 inches in width, cut out circles. 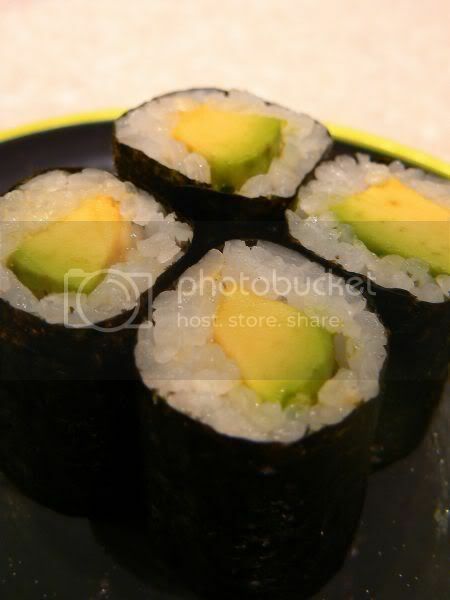 You will probably get between 6 and 8 circles from the dough you have rolled out. You can reroll the scraps to cut out more circles. In total, from both pieces of dough, you shouldn't have more than 16 circles or you may not have enough filling. Once you've rolled out both pieces of dough and cut out your circles, take one circle and put a tablespoon or two of apple filling in the centre. Dot with a few pieces of butter. Wet the edges of the dough with a bit of water and then fold one half over to meet the other half. 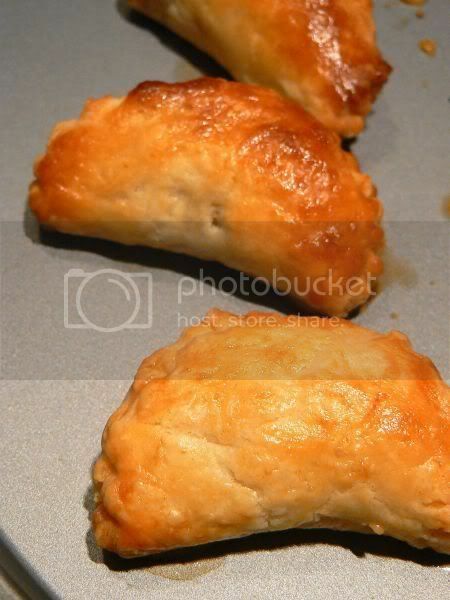 Seal with your fingers and then use the tines of a fork along the edges of the dough to further seal the turnovers. Poke a few holes in the turnover to allow the steam to release. Lay the turnover on the cookie sheet. Repeat with the rest of the dough and apple filling. Once your turnovers are complete, brush each one with egg wash and sprinkle with a pinch of granulated sugar. Bake the turnovers for 20 minutes, rotating the trays from front to back and top to bottom halway through. If you can resist, let the turnovers cool slightly on a wire rack (for about 5 or 10 minutes) before eating them. It has been a while since we dined at Groove Junction hence one late night we decided to drop by for dinner. We were actually keen to try the items we had sampled the last time and also taste the Arirang which was one of the dishes highly recommended. However we discovered they had recently changed their menu in October which now features Spanish tapas dishes. We ordered just a two tapas dishes since it was so late - the fried button mushrooms in olive oil and the fried cheese. I've always loved mushrooms so this was yummy which came with lots of sauce. 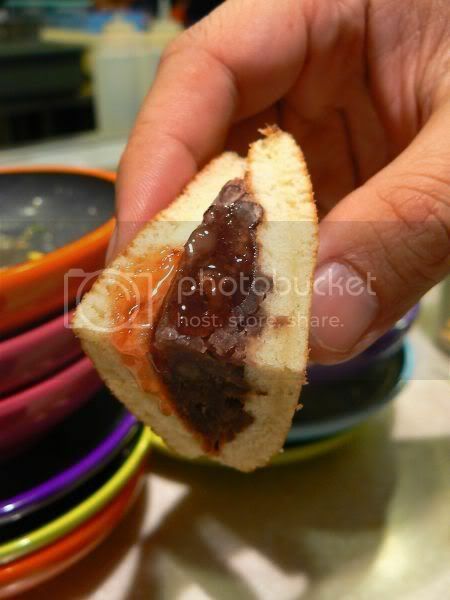 We were given slices of bread which was great to mop up the tasty juices. When I saw the fried cheese on the menu, I knew we had to order it. 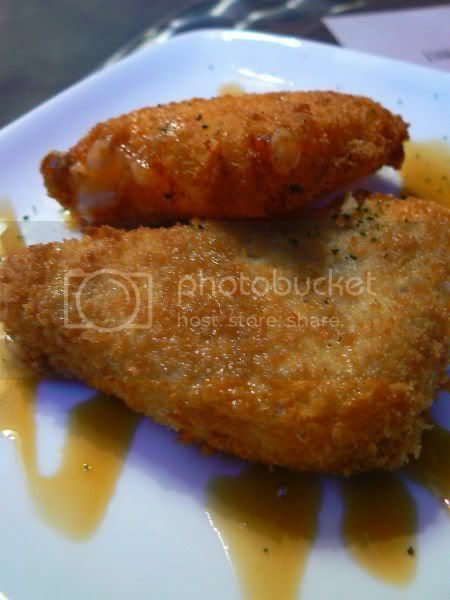 Bite into the deep fried cheese and it reveals a lovely gooey melted center. It tasted so good tossed in the lemon and honey sauce which made it less rich. Thumbs up to this item as it was definitely better than the one I ate at Vintry and the Banquet. 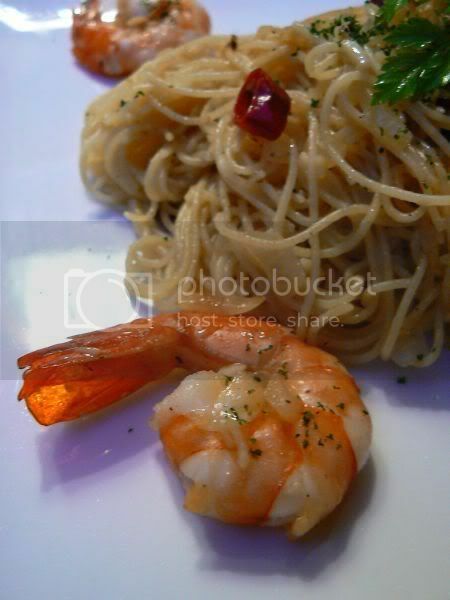 We also ordered a pasta to share - a nice and lightly tossed angelhair pasta with olive oil and garlic which was served with prawns. They had added dried red chilies for extra flavour too. Overall, it was a satisfying light dinner for the night and we were also well entertained as it was Bossa Nova night with Cheong. It seems those error messages you get when you voted earlier on means that your vote was not counted. One of the many technical hitches Star is encountering so for those of you who earlier voted, do re-vote again. Sorry! Thanks so much for your support. Here's the LINK to the videos. It will only be up this whole week so get those votes in to make a difference. I'm currently crazy about Pan Mee, something to do with a persistent cough I have which is preventing me from eating any spicy food. Although this place seems quite far away from home, it is well connected with the highways so eating here has been a breeze so far. Located in front of a block of apartments where they operate from a makeshift stall, this place has no name but everyone knows it as "the pan mee place at Miharja" or "the pan mee place under the big tree". They make a few varieties here - the rough cut version known as Mee Hoon Kueh and the machine shredded noodles version. You get a choice between the dry version and soup here. 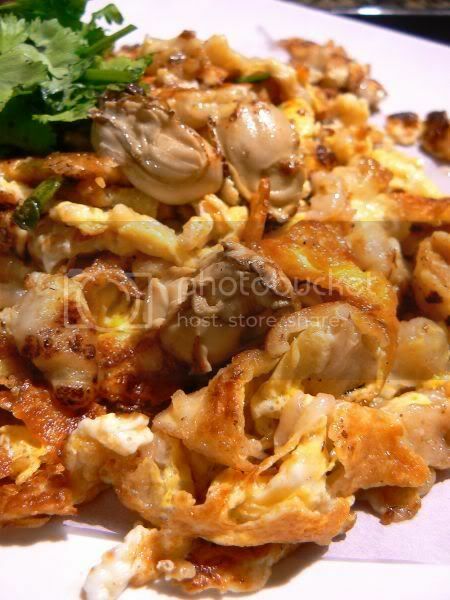 Note that their Mee Hoon Kueh version is cut into squares versus the hand torn pieces like Lian Heng. What I like about this place is the dough of the noodles is silky smooth. It seems the secret ingredients is butter! 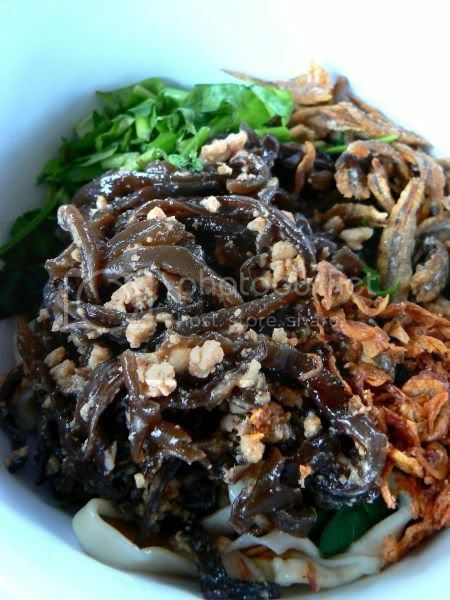 They're also very generous with their toppings - shredded black fungus, sayur manis leaves, crunchy ikan bilis, chopped coriander and deep fried shallot. Although there is also minced meat, it is very little thus making these noodles almost vegetarian. Another item they sell is the pork ball - delicious with dry cuttlefish bits. 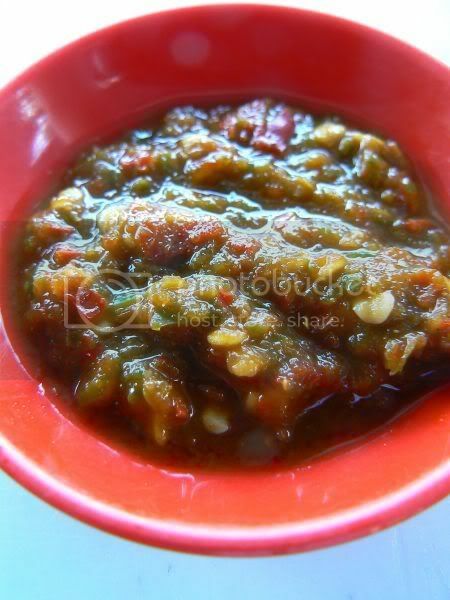 The chili sauce is also potent with lots of chopped green chilies and seeds to give it the fiery heat needed. Help yourself from bottles they will place at your table when you get your bowl of noodles. The stall also sells drinks - herbal tea and cincau. The portions here are big - a generous bowl costs RM4.50 (large portion) which will come chockfull of ingredients. Before I continue today's post, do vote for the Floggers videos on this LINK - Apple Crumble Team and Fantastic Four. More details are in the previous blog entry. Thanks to those who have voted. The videos should be up for a week so get going with your votes and watching the videos. With the long break, we did some exploring at Pavilion last week. 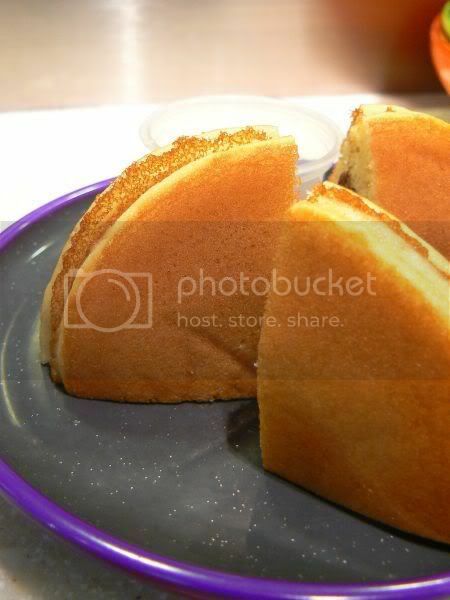 Just opened last Wednesday, Food Republic is a food court which hails from Singapore. On the day it opened, there was quite a commotion at one of the stalls which saw a three foot snake drop by. Not sure how the snake ended up there (it seems it dropped from the signages on top) but luckily it was caught before it caused more trouble. Splashie Boy was keen to try out this place especially after he saw the Peanut Toast. 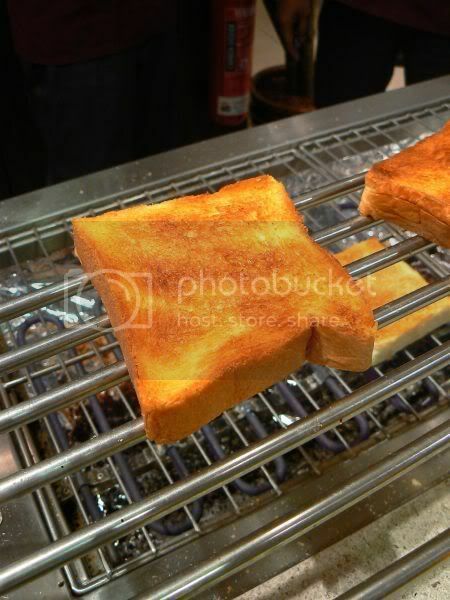 Quaintly decorated with thick loaves of bread, rustic pots and pans, this is the second outlet for Toastbox. 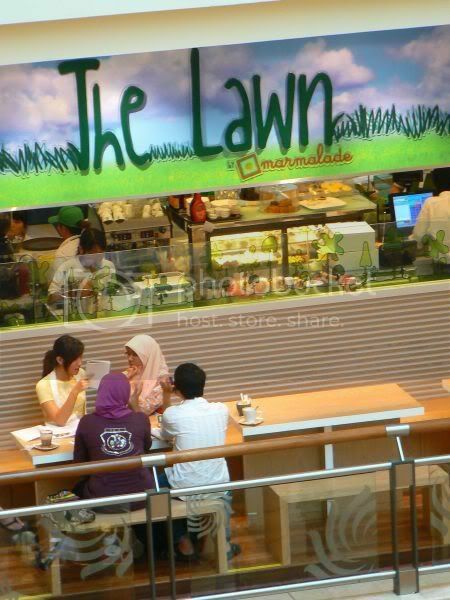 The first outlet is located at Mid Valley Megamall. 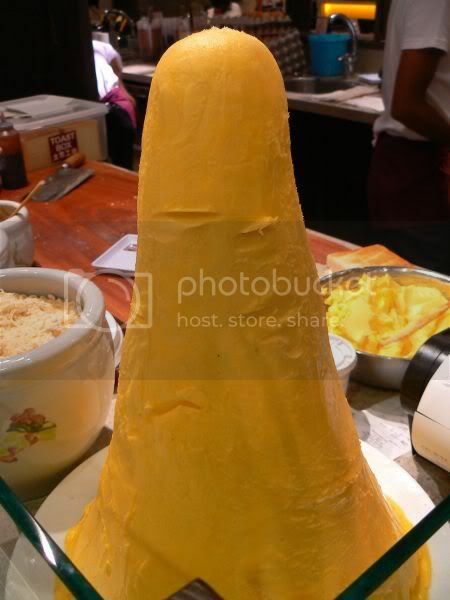 Seems to be a characteristic of their outlets - the impressive butter mountain. Reminds me of my economic classes which taught us about the growing butter mountains in Europe where people stored butter due to cheap subsidies. Seems at one time, so much was stored that it could have created a mountain large enough to build a ski slope. Since we wanted to just try the food, we ordered one set which was served with 2 soft boiled eggs, a cup of tea and toast. The tea was very aromatic and smooth. 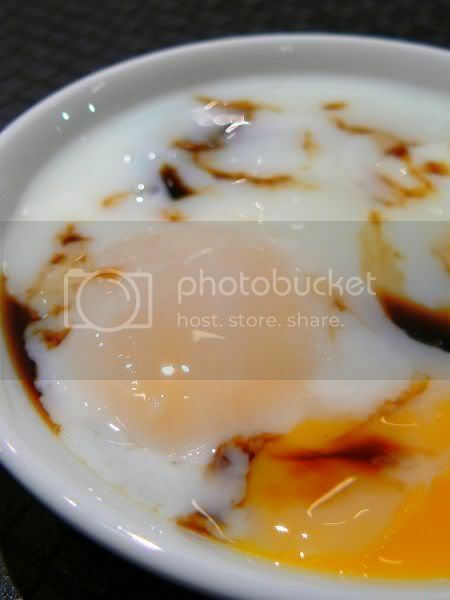 I liked the eggs which was boiled just right - not too watery or hard. Splashie Boy wanted to try their French Toast - quite dissapointing as it was just thick toast with just a hint of eggy taste and topped with a piece of butter. 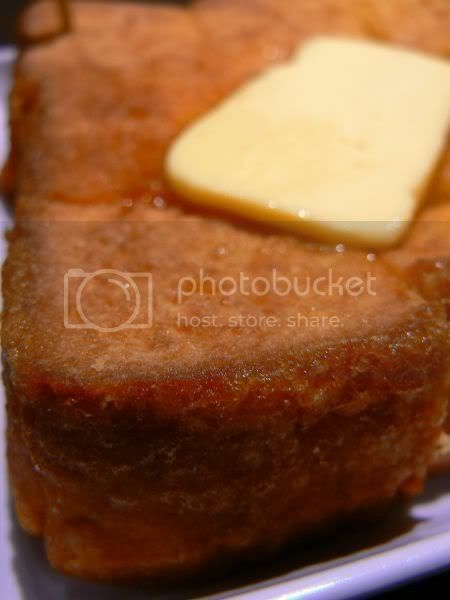 Very sinful as the butter would melt on the bread. Another place which we thought was worth trying was Thye Hong. The people behind the counter wear rattan hats and the food is served on a dried leaf. It seems this is the bark of the betel nut tree. They only have Carrot Cake, Fried Oyster Omelette, Char Kuey Teow and Fried Hokkien Prawn Noodles. We had a portion of the Fried Oyster Omelette (RM7) which was not bad as it was not as sticky and gooey like the ones we get at the hawker stalls. I really liked the Fried Hokkien Prawn Noodles (RM7) which is unlike the black soy sauce Hokkien Noodles we get. 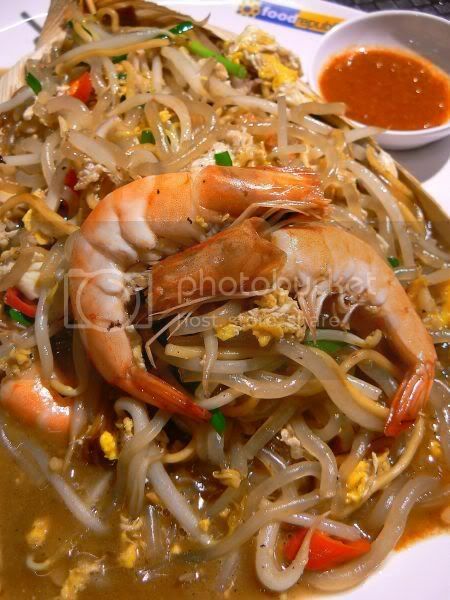 They use a mix of chewy rice noodles with thin yellow noodles with not much alkaline water taste. Filled with prawns, bean sprouts, chopped chives and egg, I find the broth used to cook the noodles is pretty tasty. This got our thumbs up and we would not mind returning for another plate of the noodles. 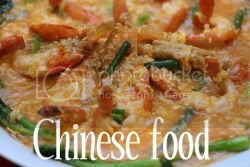 It is interesting to note, they have two people who man the woks - a flatter wok specially for the oyster omelette and carrot cake while the other wok is used to fry these noodles and char kuey teow. At the end of the food court, nearer to Rain Nudle House is this egg tarts stall. 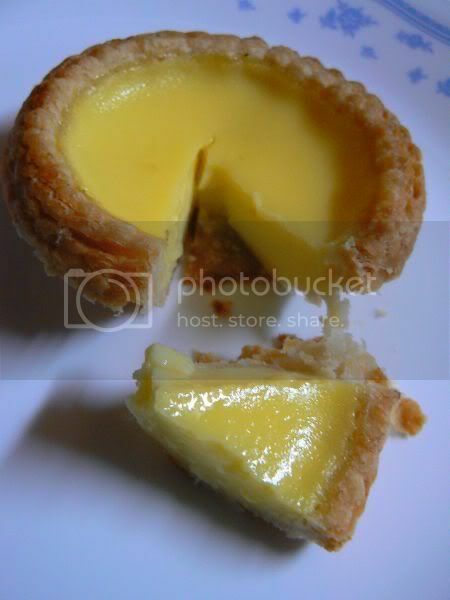 Said to originate from Hong Kong, they sell a variety of tarts and biscuists like Loh Por Peng and Hap Tau Soh. I tried some of the tarts when we walked past and liked the milk egg white tart. When I went back, there were no more milk egg white tarts one hence I bought the normal egg tarts (RM1.60). They offer two crusts here - cookie (the thicker) and the fluffy pastry. The pastry is nice and light making the tart easier to pop into the mouth. I kinda prefer the Tong Kee one though as there is more layers but this version is lighter and less oily. 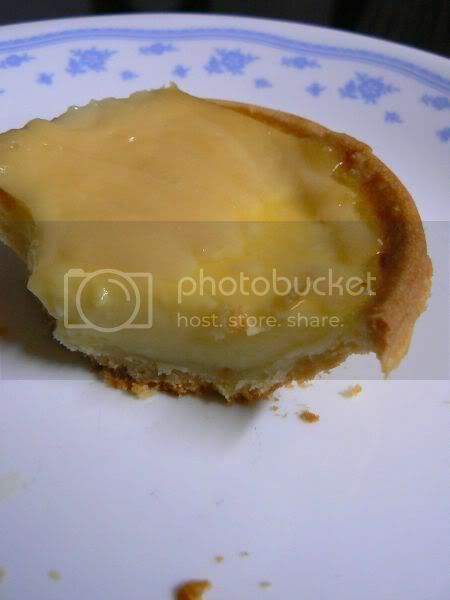 I also bought the Durian Tart (RM2) which turned out to be just an egg tart topped with durian paste. The aroma of the durian is quite strong hence it is ideal for durian lovers. Both tarts were eaten late at night as I had packed them home. Even though cold the tarts were nice and would have been better eaten warm from the oven. Quite a lot of people seem to buying the tarts. 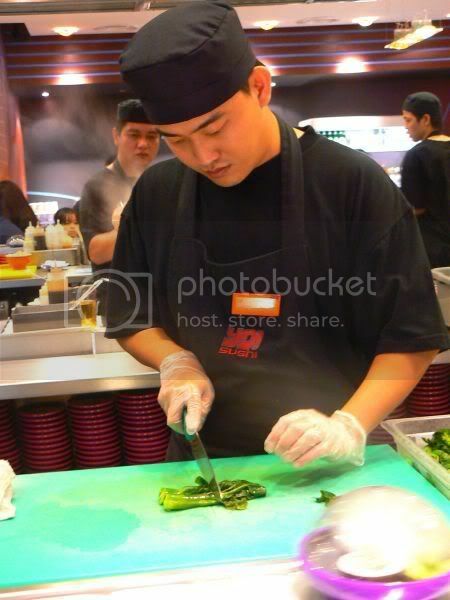 They also will be serving birds nest tart, aloe tart in the near future.